The bunch had quite a lazy start to the day and judging by the amount of snoozing, the lot found it difficult to get out of bed and face another day, especially with the knowledge that their fates would be decided in a mere 24 hours. Alex and Tobi were the first to sight the sun and instead of moving out of bed, the duo reminisced on the one sided ‘shoutathon’, courtesy of Cee-C and Alex’s nightmares that saw them cuddle-sleep for the first time. Tobi said that he couldn’t help but smile and listen while Cee-C made all those remarks about him, adding that he felt she need to ‘cast herself’ and say all that she felt. Alex on the other hand spoke about how her imagination has influenced her dreams and resulted in her having terrible nightmares last night. Following Miracle’s umpteenth win, the Housemates were awarded an opportunity to choose their own plated niceties. Biggie delivered a couple of menus and they took some time to have conversations with their pallets and on census, order their preferred dishes. After a while, the familiar doorbell rang and on cue, the Ninjas filed in with platters in hand. Having envisioned the dishes they’d ordered, the Housemates were visibly excited about their reward and on the Ninja’s signal, dashed towards the table and indulged. If anything, the questions biggie asked today pretty much reminded the Housemates that their multi Million Naira race has about come to an end and their fates soon to be revealed. This had them involuntarily surfing the wave of nostalgia; missing home but clearly not ready to exit the cocoon they’ve been enclosed in for last three months. When asked how they were feeling, the lot seemed to be on auto pilot; gravitating towards a similar emotional dipole due to having dodged the same bullets. Although pretty calm, they were all left a bit uneasy by the fact that the torch would have reached its final destination come tomorrow night. 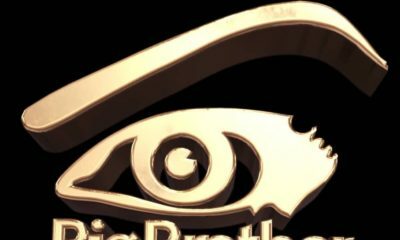 Prompted by Biggie’s pattern of questioning, the Housemates thought back to their lives as students of both life and academia, and professionals trying to reach the highest points in their fields; reminiscing about the hopes and dreams they’d had and how being in the Big brother House was one of the dreams none of them imagined would come true. Although all five of them displayed emotion in their own unique ways, Nina and Alex had their emotional chords struck much harder, giving off a melody of sobs decorated with sincere gratitude. 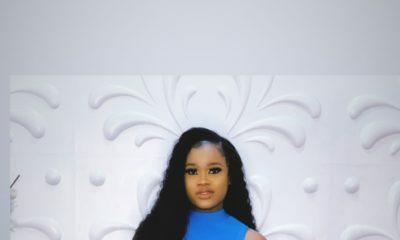 While not a lot was said by the rest of them when asked what aspects of the Game caught them off guard, Cee-C expressed her utter disappointment in the way her relationship with Tobi ended, mentioning also that while everyone seemed to have been oblivious of this fact, Tobi had in fact tried his best to get her out of the game. Furthermore, she highlighted her new found appreciation for friendship and like Tobi, Nina and Alex; is looking forward to seeing her family and being surrounded by people that are for and not against her. An emotional Alex couldn’t hold back tears when she was announced as the winner of the Dano Milk task which happened a few weeks ago. The poem which she wrote for her mother titled “I’m my mother’s daughter’ saw her as the overall winner and the message from her mom touched her even more. Apart from winning the Head of House challenge, this was Alex’s first win and as talkative as she is, this time words failed her. Alex wrote the poem to her mom on the International Women’s Day and she sang nothing but praises for her dearest mother. Painting her as a flower that is as sweet as honey even when life throws her bitterness, Alex read the poem in front of her fellow Housemates and when the video was shown, sitting still was a difficult mission for her. Tobi even advised her to listen to her mother’s reply and then she tried being still. ‘A free but strong spirit that never accepts defeat’, that’s what Alex wrote of her mother. Alex seems to be good with words and this is something she’s barely spoken about in the House, but her poem to her mom and apology to Cee-C shown an incredible display of words. Both writings showed in depth emotions and as though she likes talking, what she pens mostly is accompanied by great sense of meaning. Dano Milk’s reward to Alex’s winning poem saw them refurbishing her mother’s kitchen. In her thank you reply, she spoke of how appreciative she is of her daughter. The newly refurbished kitchen with all its appliances wasn’t fully complete until, of course, the cupboards were filled with Dano Milk. The Housemates closed the Saturday Night party with a bang and DJ Sose on the decks didn’t disappoint. Unlike the normal parties, the last one of the season was held in the Arena, with velvet ropes, a VIP section and everything else in-between, making it a perfect club setting. Not only did they have amazing outfits, the Housemates made it a point that everything about them this night in on perfect mode including makeup and accessories. Normally, the Housemates would jump right into the party; grabbing drinks and hitting the dance floor same time but today was a little bit different. 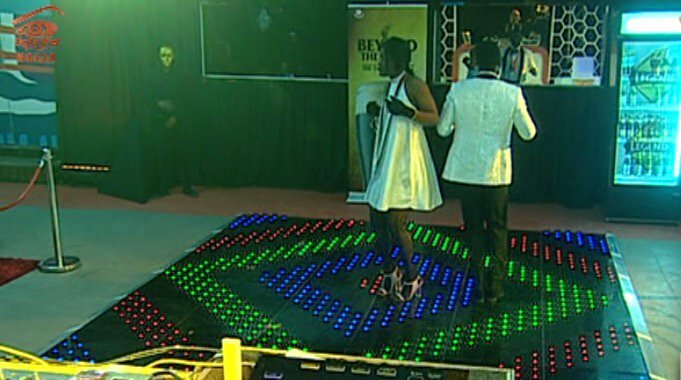 For the most part of the beginning, only Tobi and Alex exchanged dance moves on stage while others sat down. The reality of it being their last party might have struck making them realise they’re finally saying goodbye to their extraordinary party nights. However, when the mood started blowing up and the music penetrating their souls, it wasn’t long before everyone joined in. The party was definitely a definition of ‘go big or go home’ when two acts were introduced to perform for the Housemate. LK Kuddy and King’s performances were highlighted by the Housemates embracing them and singing along to their songs. 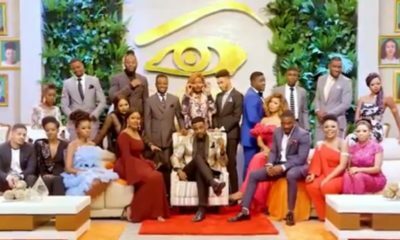 Additionally, the duo, long after their sessions had ended, joined the Housemates on stage and for a little while became part of them. If there was any reward for dancing in the Big Brother House, Alex would be crowned the dancer of them all. Week in and week out, she never disappoints on the dance floor and today was no different. With an exception today to the duration of the party which lasted for two hours, Alex, unlike her counterparts never left the stage. Have you been watching? What did you think of the Day 84 activities? Issa Getaway! Stephanie Linus & Husband hosted in Abuja on 6th Wedding Anniversary ?